Rockville home and business owners can trust the professional plumbers at Master Plumbing for all of their plumbing needs! Some plumbing tasks are simple to do on your own. However, no matter how handy you are around the house, some things are best left to the professionals. Rockville home and business owners trust the professional plumbers at Master Plumbing and Mechanical for all of their plumbing needs! When it comes time to make some upgrades to your Rockville kitchen or bathroom, who do you trust to do your plumbing work? No matter your reasons for your remodeling project, the plumbing fixtures and water supply need to be a top priority and handled with care and skill. Master Plumbing will come out and do the work you need to have done quickly, professionally, and at a fair price. A beautiful, functional bathroom is one of the most understated aspects of a well-designed home. With the right shower or tub, mornings become more relaxing and your bathroom becomes an oasis away from the real world. If you don’t have the perfect shower or tub already in your home, you’re truly missing out on one of life’s great pleasures! The kitchen is one of the most popular rooms in any home. It is a place to prepare and cook food, sure, but a modern kitchen is now a room for entertainment as well. A new kitchen remodel gives you the opportunity to opt for a brand new look to impress your guests. But this should not be done haphazardly. Water lines from your refrigerator and your sink plumbing will need to be handled with care during the remodeling process. Master Plumbing can help out during the planning and implementation phases of the kitchen remodeling project in your Rockville home. We adhere strictly to building codes, which include space around fixtures, and can construct and place walls and plumbing drain pipes if necessary for your project. With Master Plumbing on your side, your kitchen will not only look like a dream but function efficiently as well! 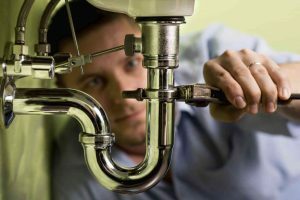 No matter what plumbing services you may need in Rockville, you can rest easy with Master Plumbing working on your home’s plumbing. We will give you a fair price for the work that we do and pride ourselves on our honesty, integrity, and courtesy. Your satisfaction is our number 1 priority! Give Master Plumbing a call at (301) 650-9100 or contact us online to get more information on how our expert plumbers can help you with your Rockville home’s plumbing system. We have received Angie’s List Super Service Award recognition for plumbing and drain cleaning every year since 2007, in addition to the Best Plumber award from Best of Bethesda. We are fully licensed, bonded, and insured, and our service is unparalleled. Give us a call today—you won’t regret it! To see examples of our projects, follow us on Facebook, Twitter, and Pinterest.